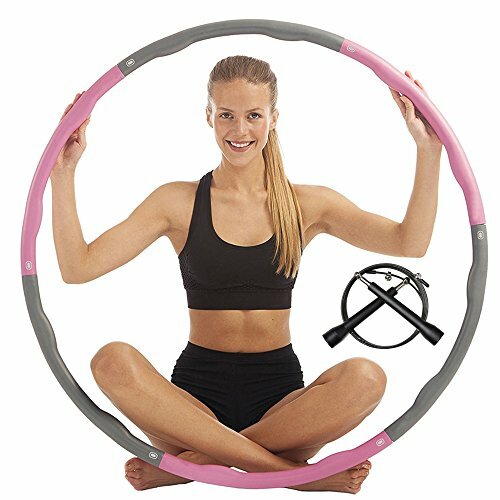 Exercise Hula Hoop and Speed Rope Combo Set - Weighted Hoop perfect for fun, easy weight loss, fat burning, fitness and cardio vascular exercise. FUN WEIGHT LOSS: The extra weight on this hula hoop forces your body to exert more energy, and burn more calories while using it. COMFORTABLE: The soft foam padding on the inside of the power hoop is designed to gently massage your body as you hoop. 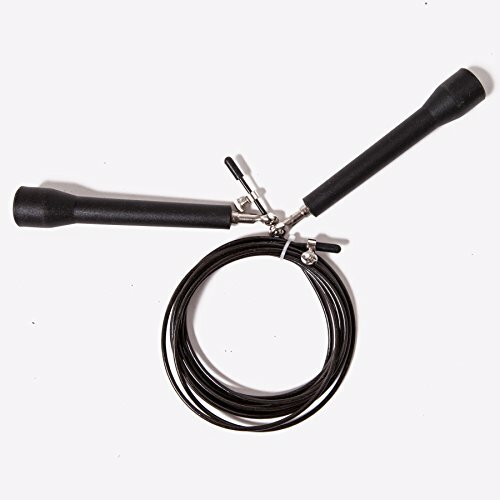 EXTREME VALUE: Also comes with a Speed Rope, to open up an entirely new form of exercise all with one purchase. 100% SATISFACTION GUARANTEED: If at any point you are unhappy with your purchase, you can return it for a full refund! Let me tell you about your hips. weight on us than you used to." And since they never lie, maybe you should believe them? That's why this exercise set is the perfect gift for your hips. something about the motion that is so clearly absurd, that your brain just says "Okay, lets release some endorphins!" these two items together are sort of the holy grail of exercise.